We are exposed to numerous invaders which are waiting to get an entry. Most often our rivals are not giants they are minute microorganisms capable of creating havoc inside our body. But our defence mechanism is spectacularly designed that the job of microbes will always be a difficult one. Let us move into the detail of our immune system. 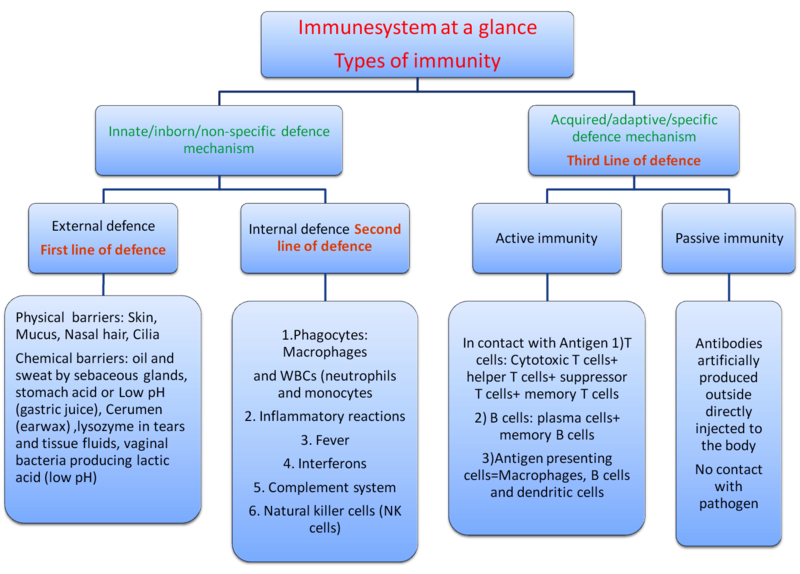 Immune system refers to the collection of mechanisms involving cells, tissues and organs that protects organisms against disease by identifying and killing pathogens and tumour cells. I think this figure will help you a lot in understanding our immune system. Immune system in vertebrates is a collection of different weapons that works together to protect body from pathogens. These components are spread throughout the body. It include lymphoid organs like (thymus, bone marrow etc), cells like macrophages, neuterophils, and soluble proteins like immunoglobulins.